Has your insurance company asked you to get some quotes? Appoint us and this is the only quote you’ll need!!! We carry out all types of building work but we specialise in PROPERTY INSURANCE CLAIM REPAIRS such as LEAKS, FIRES, FLOODS and any other type of DAMAGE. We will then carry out the repairs. If you have, or are about to make an insurance claim, please call us. The service is COMPLETELY FREE as we will invoice your insurers for the works carried out. You may have to pay your policy excess. Our mission is to take away the STRESS and STRAIN from an insurance claim. 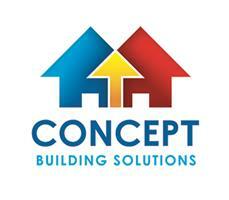 Concept Building Solutions (Leeds) is a franchise owned and operated under licence by Version Homes Ltd and is an Appointed Representative of EvolveU (UK) Limited which is authorised and regulated by the Financial Conduct Authority and is entered on the financial register (http://www.fca.gov.uk/register) under reference 785755 for Claims Handling Only. North, South and West Yorkshire. Teesside, Co Durham.